I made these pages for our preschool class. Print each page as needed. 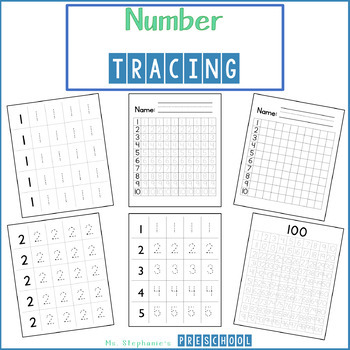 Individual tracing pages for numbers 1-10. Four tracing pages with numbers 1-5, 6-10, 11-15 and 16-20. Tracing pages 1-10 with dots and without dots. Tracing pages 1-100 with dots and without dots. Also included is a 1-100 page to use as a guide.